Cleveland, OH - In this week's holiday lighting video post, Joe Schill explains the difference between Custom Fit Strand Holiday Lighting and Holiday Light Links. 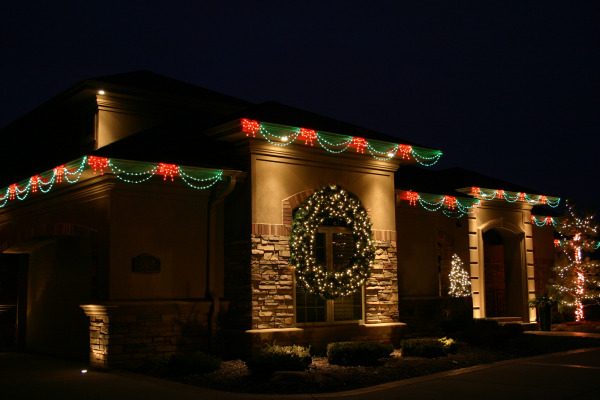 Custom Fit Strand Holiday Lighting offers an affordable solution to your homes holiday exterior, providing a professional look and feel. The strand lights feature options for a C7 or a C9 bulb which are different sizes. The strand lighting also features an all-in-one clip that can be attached to each bulb base and then secured to your homes gutters or shingles to give the lights a perfect fit without causing any damage to your home's exterior. Powder coated metal frame that can be adjusted to fit the shape of your home. Shape and style features include ratcheting arms to hold the hanging ornaments in place. Protective clear covers over all lights to extend the life of the bulb and keep them bright. All-in-one clip to secure the line links to your homes gutters or shingles without causing damage to your home's exterior. Want to learn more about our Holiday Link Links, and other holiday home decor options? Check out our Holiday Product Catalog!